I'm happy to announce the launch of Memo, an on-chain social network built on Bitcoin Cash. Memo is both a protocol and a front-end application. The protocol works by writing transactions to the Bitcoin Cash blockchain. Client applications can read these transactions to see the activity on the network. With current social networks, users do not control their data and can have their accounts removed without reason. The blockchain is more than an uncensorable way to send money, it's an uncensorable way to store data. 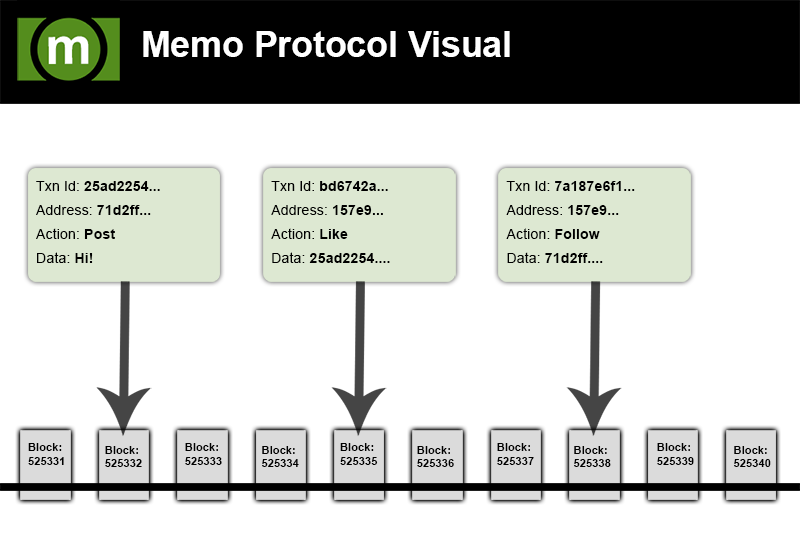 Memo is an experiment leveraging the blockchain's data storing capabilities. Each action is stored on the blockchain in an OP_RETURN transaction - whether it's posting a memo, following someone, or liking a post. You can also include a tip (it is on-chain after all). Additional actions are intended to be added later. This website is a front-end application built on top of the protocol. An open-source client is planned to be released later. Sign up for an account to check it out. Try importing your private key into a local wallet (e.g. Electron Cash) to see your transactions. Have feedback? Post a memo about it! You can also send me an email [email protected], message me on Twitter @memobch, or chat me on Slack (btcchat or bchchat). Also, here's the official memo account.